Galaxy S4 was announced in March and Samsung started shipping in April this year but within couple of months, the sales graph for the device is already moving down. Nothing went wrong with the performance of the device or the Android or even with the marketing campaigns of the Galaxy S4 but two elements are the reason for the decreasing sales graph which is low quality build and copied design. People were excited about the Galaxy S4 before launch but when they saw that the newer Galaxy S4 looks almost exactly as Galaxy S3 then most of them refuse to upgrade. Galaxy S3 was one of the highest selling smartphone last year & also the most popular. Galaxy S4 is little thinner in size and also holds a larger display but still most of the parts and design looks exactly the same. This is the first reason why people didn’t upgrade to the S4. Another reason was the low quality build. Every person who reviewed the device on the internet, even the top tech blogs like TheVerge, CNET, etc talked about the poor build quality of the device. 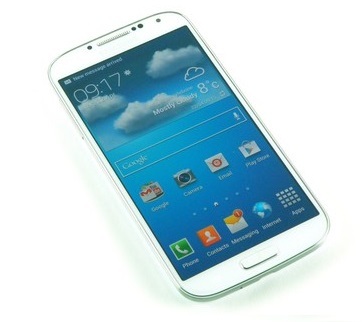 Galaxy S4 was made up of cheap plastic which doesn’t give the feel of holding a luxury smartphone. On the other hand, HTC launched its One as the main competitor of Galaxy S4 which was having aluminum body and a very unique design. The octa-core processor gives feel of having a super speedy smartphone and nothing went wrong in the CPU category. The GPU was also working well and the graphics performance was amazing. The software of the device was developed nicely and there was nothing which was left incomplete. The Android 4.2.2 was working really well on the device. The 13MP camera was sharper than any other Android smartphone and the camera software was also good. In fact, Samsung announced the dual shot feature for the first time which was a unique thing in the device. Overall, Galaxy S4 is the best camera Android smartphone till now. The battery life of the device is better than any other Android smartphone available till now. It is the best Android smartphone right now but lacking better build quality and unique design. As a smartphone, the device wasn’t having any bad but it was all about build quality and design that didn’t worked. Samsung Galaxy S5 is coming this year! The decreasing sales graph of the Galaxy S4 now points towards the coming of Samsung Galaxy S5 in 2013 only. Otherwise Samsung will move a way behind in the high end smartphone category. Nokia has already flying higher than earlier with its Lumia smartphones and even HTC is doing good. Apple is already a brand which still needs to get a good competitor. The low quality design and poor build quality of Galaxy S4 has disappointed users and this gives them a chance to try either HTC or Lumia or off course the iPhone 5. Apple will also launch a newer iPhone this year or may be two new iPhones and if Samsung didn’t get the faith in its users back soon then it may be wiped out soon.